Galena photo courtesy of Mineral Information Institute: Lead (all rights reserved; used by permission). 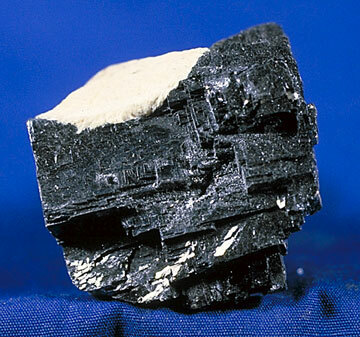 The mining of lead ore (galena) was the principal occupation of the settlers of early Wisconsin, concentrated in the southwest corner of the state in what are now the counties of Iowa, LaFayette and Grant (in the 1820's and 1830's, the population of these 3 counties was greater than that of Milwaukee or the east coast of Wisconsin). A miner and sailor (the other principal occupation in Wisconsin during the mid 1800's) are featured on Wisconsin's coat of arms, state seal and the state flag. The mining of galena also led to Wisconsin's state nickname.